Leg Press More Effective After? 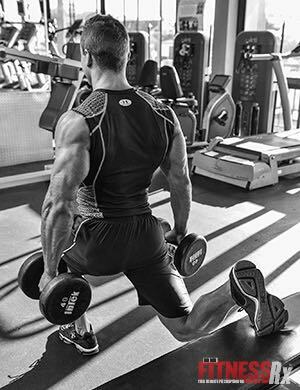 The idea that pre-exhausting one muscle group with a single-joint exercise such as knee extensions, prior to performing a multi-joint exercise such as the leg press, will result in more total muscle use in the multi-joint exercise, has been around for a long time. But pre-exhaustion techniques come and go. Until recently, there has been little sport science information concerning the effect of pre-exhaustion on muscle use. However, a group of Swedish researchers recently undertook a study of this theory. Muscle use, as determined by electromyography (EMG) techniques, was examined in several muscle groups during a leg press set at a 10 repetition maximum (RM) resistance without performing knee extensions and after performing a 10RM set of knee extensions. The performance of the knee extensions prior to the leg press set in theory resulted in pre-exhaustion of the quadriceps. With the pre-exhaustion technique, on average 7.9 repetitions of the leg press were performed. This was significantly less than the average 9.3 repetitions performed without pre-exhaustion. Thus, pre-exhaustion resulted in fewer repetitions in the leg press, which one might expect due to fatigue of the quadriceps. However, more importantly, the EMG data demonstrated that muscle use in the vastus lateralis and rectus femoris (both muscles of the quadriceps) was actually less after pre-exhaustion. In addition, use of the gluteus maximus, a major muscle of the buttocks, was not significantly affected by the pre-exhaustion technique.